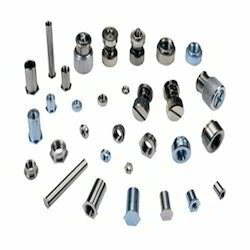 We offer anti abrasive Self Clinching Nuts in customized dimensions. They are manufactured using 303 and 304 stainless steel and sophisticated machinery. These are quality tested raw materials sourced from reliable vendors. These products are used for internal threading in engineering industries. We provide them in standard dimensions. They are durable and resistant to abrasion. We offer them at industry leading prices. Other sizes are fully available: 256, 348, 440, 632, 832, 024, 032, 0420, 0428, 0518, 0524, 0616, 0813, 0820 M2, M3, M3.5, M4, M5, M6. Looking for Self Clinching Nuts ?